Nichole and Michael’s waterfront Tampa wedding wasn’t just a marriage between the bride and groom, but also a blending of their families. The Tampa couple hosted a sophisticated black-tie wedding overlooking Tampa Bay. 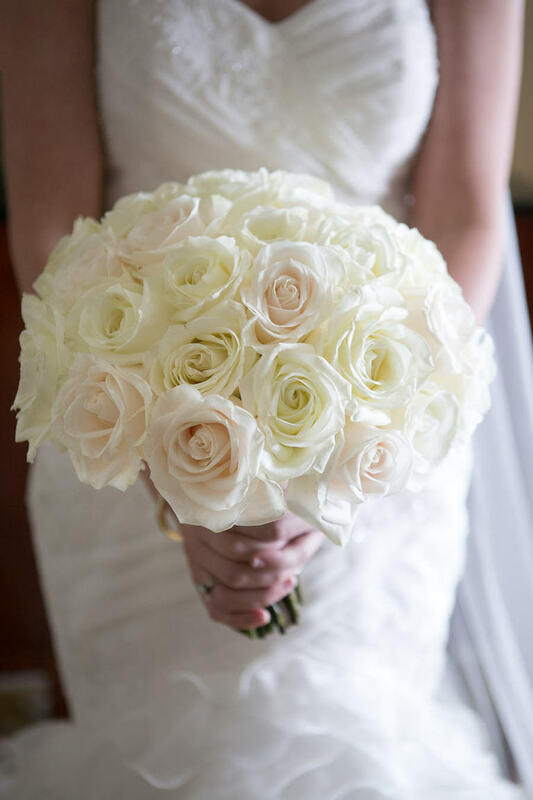 To complement their chic affair, Nichole and Michael chose downtown Tampa wedding venue the Tampa Marriott Waterside. To transform their ballroom reception, the couple looked for a Tampa wedding florist who could bring their vision to fruition. 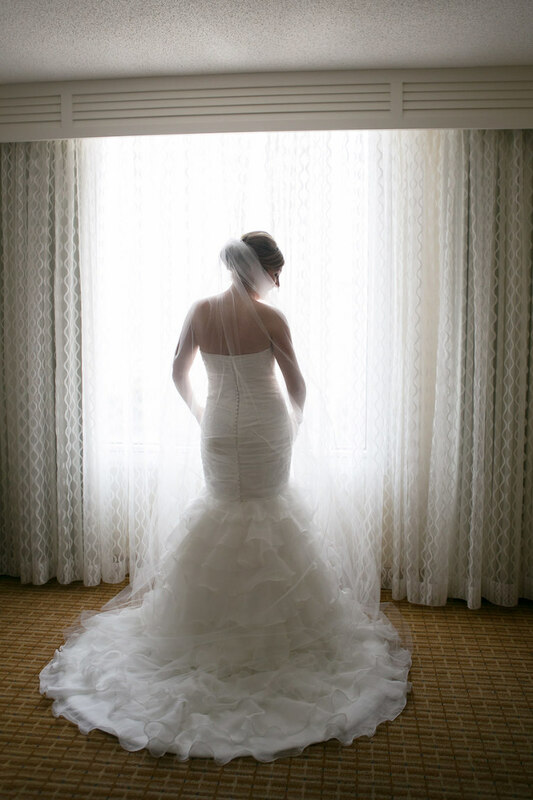 Looking back, the bride’s most cherished memory occurred as she made her grand entrance. “The most memorable moment was walking down the stairs during the ceremony and seeing all of the people who were there to celebrate our love for one another as we became a family,” Nichole reminisced. What was your makeup and hair inspiration? My hair and makeup were inspired by Hollywood red carpet glam. I took photos from the Oscars red carpet events and showed them to Michele of Lasting Luxe. She absolutely nailed the look: smokey eye, big lashes, yet natural lips. Lasting Luxe was on time, had the girls done ahead of schedule and really made everyone look and feel beautiful! We wanted an elegant theme. It is not every day you get to be super dressed up! Black, gold and ivory. I have always found them elegant and classy. Mike waited until we were with my whole family on vacation in Ponte Vedra. At the end of a family photo session, he dropped to one knee and proposed. It was very special to have all of my family present. We wanted convenience, elegance and top-notch service. 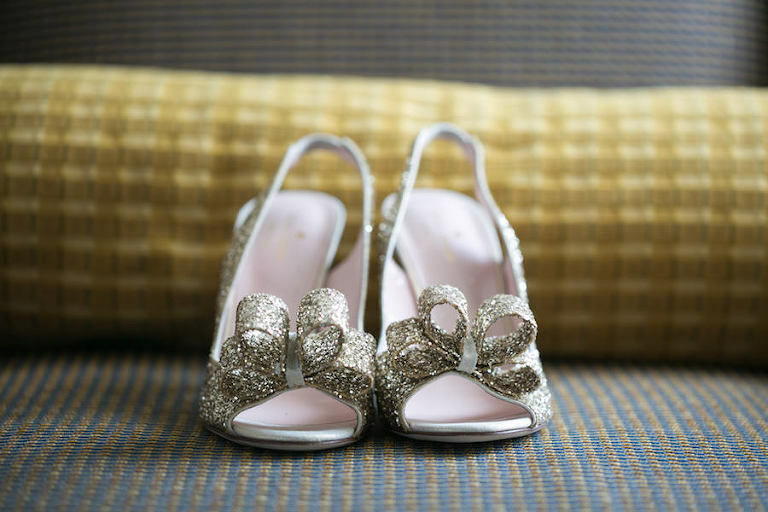 The Tampa Marriott Waterside offered an elegant feel with the capability to do an outdoor ceremony overlooking the water, without being a beach. The venue was able to help us create the classy and elegant feel, especially with the ballroom chandeliers and the windows overlooking downtown. The service was amazing! We were looking for a photographer who could capture the action shots that showed the emotion of our day. 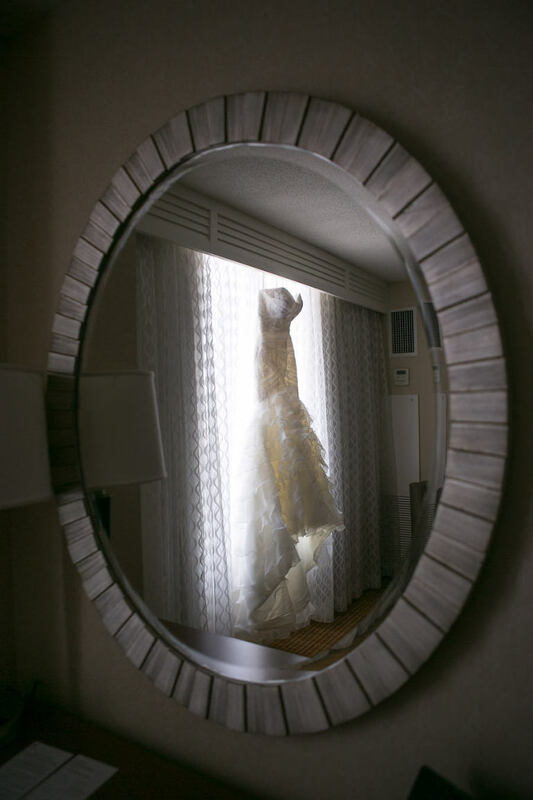 Carrie Wildes Photography had done a number of weddings, including a few at the Marriott, so she was familiar with the venue. We instantly connected with Carrie in our meeting. She was taking words right out of my mouth for the way I hoped our photos would look! She had a lot of great ideas of locations for first look, group shots and how to capture the ceremony from above. The ballroom was large, and we wanted the centerpieces to help bring it to life, so they also needed to be large. We wanted someone reputable who could work within our budget. Kathy at Northside Florist instantly understood what we wanted and was able to bring our vision to life with only one meeting and a few emails. Kathy was familiar with the large arrangements that I was looking to do. She was incredible! Go with your gut and be decisive. No one will ever know if anything went wrong.